The Tourism Development Ministry will be reaching out to the diplomatic community to show the remedial action taken by the government to ensure that tourists aren’t harassed or harmed in the future after the recent trouble experienced by tourists in Mirissa and the local communal violence which took place in Kandy. “We will invite foreign ambassadors to visit Mirissa and brief them on the safety measures taken by the government. 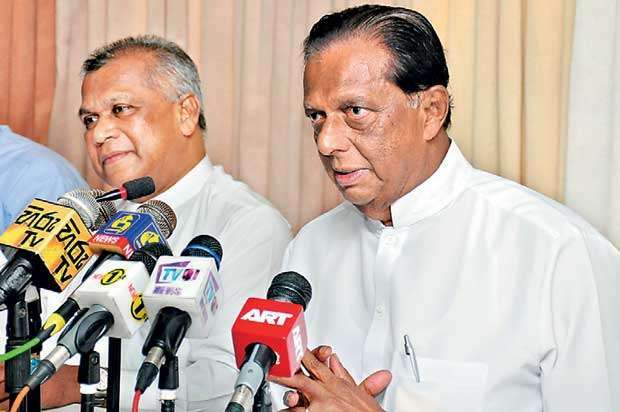 The Kandy Hotels Association President has also invited ambassadors to visit the hill country to show that all is well,” Tourism Development and Christian Religious Affairs Minister John Amaratunga said. He said that this is being done to address any reservations foreign governments are holding on their citizens visiting Sri Lanka. Law & Order and Public Administration and Management Minister Ranjith Madduma Bandara said that due to the recent incidents which were covered by the media, bad publicity is being spread about Sri Lanka in foreign countries. The government has now called on all tourism service providers in Mirissa to register with the Sri Lanka Tourism Development Authority, while 17 establishments constructed on the beach illegally would be removed next month by the Coast Conservation Department. Amaratunga, who stressed that the two recent incidents in Mirissa were isolated, said that his ministry would also contribute funds to the Tourist Police to increase its effectiveness in ensuring the safety of tourists, in addition to the Rs. 50 million allocated in the 2017 budget and Rs. 30 million allocated in the 2018 budget for such purposes. The Tourist Police, which is currently present in 11 tourism hotspots, would be expanded to another 20 locations as fast as possible, Inspector General of Police Pujith Jayasundara said. He admitted that there weren’t enough police officers in the force to cover all tourism hotspots. “There aren’t enough police officers. Those who are appointed to the Tourist Police however have a fair knowledge of English. We’re also training them in languages like French and appointing officers who have a knowledge of Mandarin. We aren’t treating this as a second tier responsibility. We are doing the best we can given the resource constraints,” he said. Amaratunga added that until new officers are recruited and trained, the police is exploring a possibility of appointing officers from other regions to tourism hotspots during the peak season of each hotspot. Jayasundara however requested tourists to lodge complaints with the police as soon as any incidents occur, instead of complaining only to diplomats, or making complaints after going back to their home countries, as such actions delay the process of justice. So far, 14 suspects have been arrested and remanded for their connection to the incidents in Mirissa, but the process of identifying them out of a line-up has been delayed since the tourists have returned to their home countries. Meanwhile, Amaratunga added that the Excise Department also has to bear some responsibility since such incidents usually occur at establishments which sell liquor illegally and remain open until dawn. Tourism Leaders Summit, Int’l Tourism Research Symposium 2017 in Oct.